If you want to get away from the hustle and bustle but prefer to stay Island side, Tai Hang is the place to be. An underrated and relatively quiet neighbour to commercial Causeway Bay, Tai Hang is definitely one cool cat. 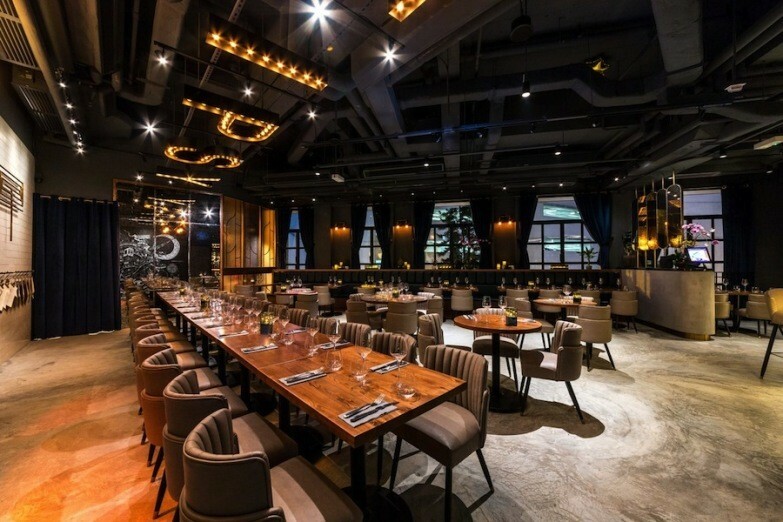 Nestled in this hipster ‘hood lined with bars, cafés and restaurants is Little Tai Hang, a quaint boutique hotel that houses a delicious secret: Tipsy Restaurant & Bar. Spearheaded by Executive Chef Wai Sing Kong, Tipsy is more than just a good hotel restaurant. It was easy for us to feel at home in the warm, dimly lit space with its comfy seats and hospitable staff. As the name suggests, Tipsy’s a great place to get drunk-happy, with innovative cocktail creations such as the Kiwi Orchard ($118) – a beautiful concoction of gin, lychee liqueur, Midori, kiwi and lemonade – and Tipsy Cooler ($118), the house signature made with vodka, Sauvignon Blanc, elderflower, lime and egg white. 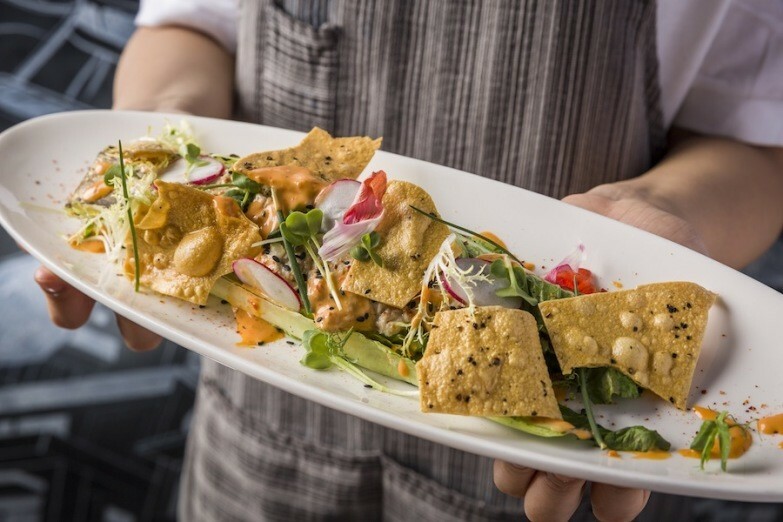 The first #firstworldproblem that struck me at Tipsy was how to narrow down our starter choices from the 17 different kinds of small plates on the menu – could I just get everything, please? I finally rationalised with the glutton in me and picked a mix of signature small plates and newly introduced dishes. Duck confit risotto balls with spring onion ($98) rolled out as our first starter as unassuming croquettes that came with a pleasant crunch, bursting with a rich and creamy risotto filling. Such a great Netflix snack, I thought, as I imagined myself drowning in my duvet, munching on these addictive and sinful little numbers. 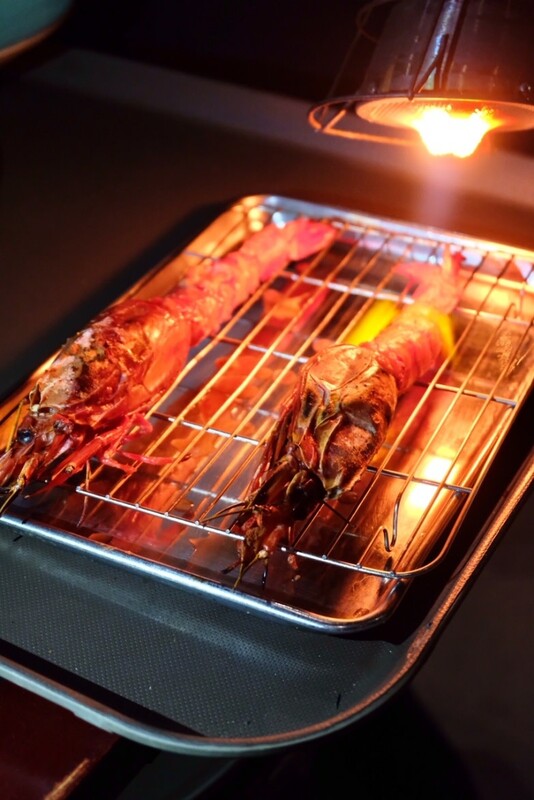 Often when you order a Spanish red prawn dish at a restaurant, they torch the shellfish at your table – it’s a theatrical effect to complete the dish. This blistered Spanish red prawn in sake and sesame oil ($188) tasted exactly how I envisioned it would: smoky upon being torched, with the luxurious overflowing umaminess from the prawn head smothered on rice crackers. Yesssssss. 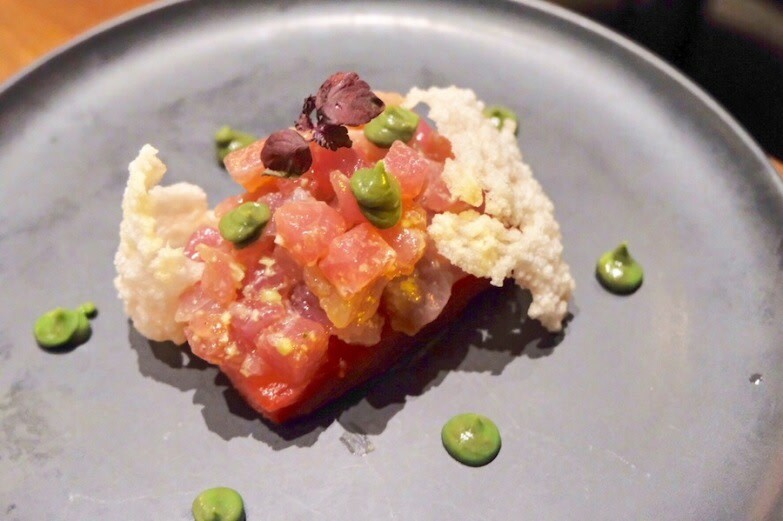 We also tried some new, refreshing dishes to balance the palate: crabmeat salad with romaine lettuce ($128) and tuna tartare with watermelon and avocado ($178). Just when I thought choosing the starters had been hard, choosing the mains was equally tough, with so many interesting options. 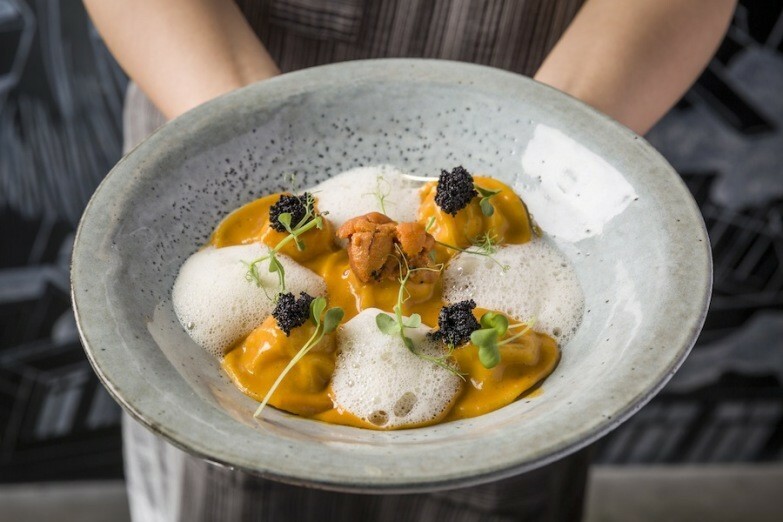 Uni fans might want to try Tipsy’s signature king prawn ravioli with sea urchin cream and fennel foam ($268), where the uni sauce is cooked separately from the ravioli to retain its freshness. 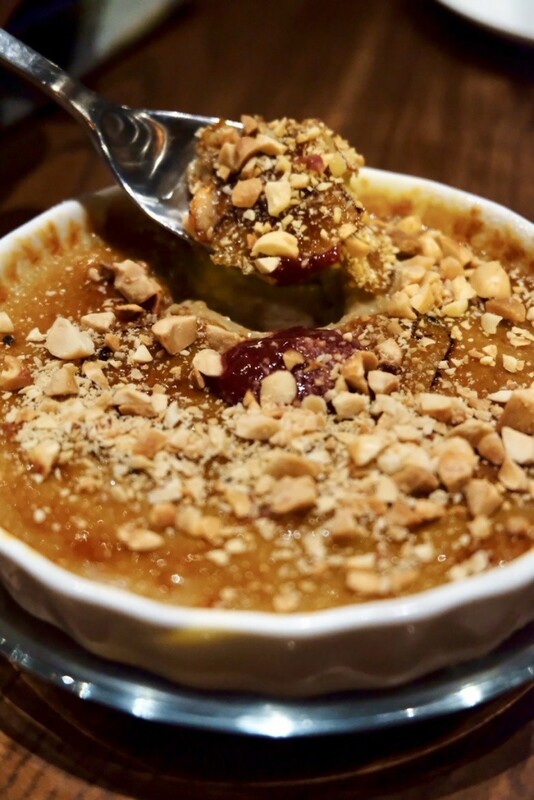 This dish may sound heavy, but we were pleasantly surprised by its great balance of lightness and richness. 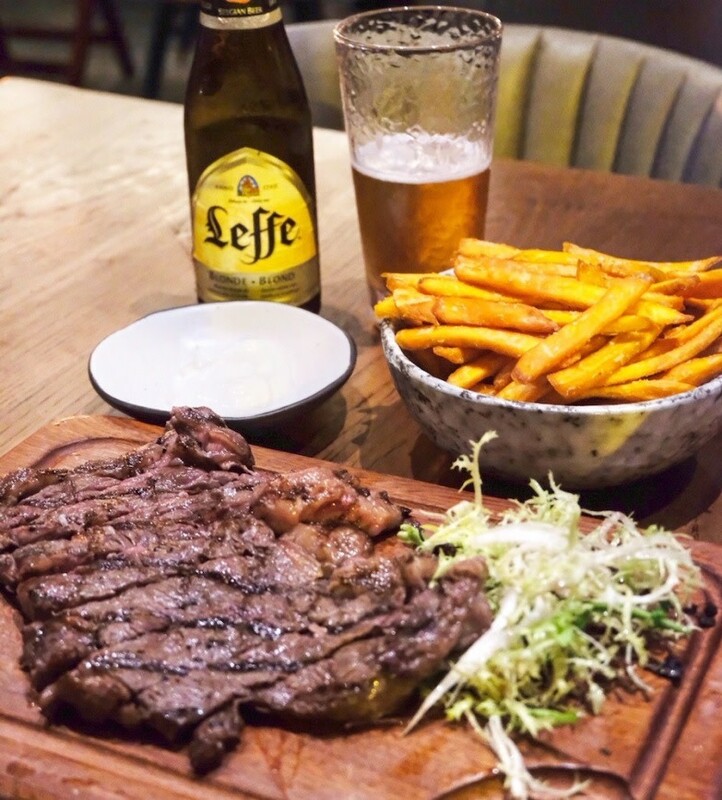 Now up to our second main course, we were about to bust our waistlines, but we couldn’t resist some perfectly seared beef – melt-in-the-mouth charcoal-grilled Wagyu rib-eye ($388) with a side of sweet potato chips with honey yoghurt dip ($68). Easily the best main we had that night was Tipsy’s signature roast spring chicken stuffed with black truffle ($328). 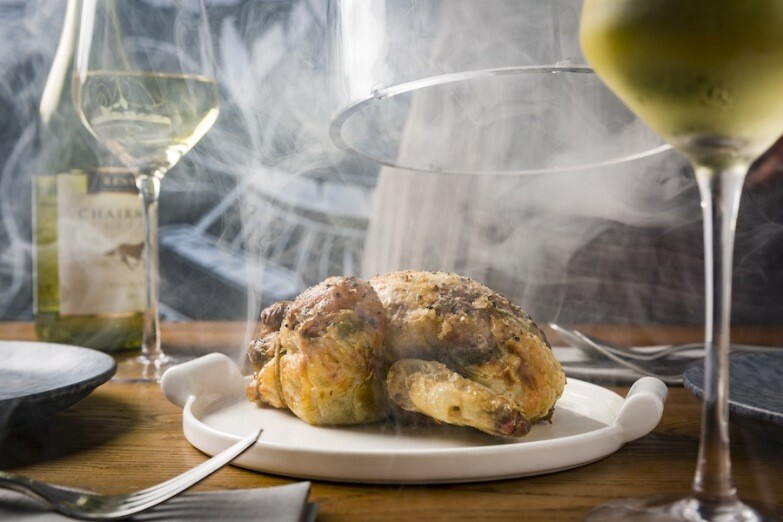 Smoked in hickory wood, the kind server first unveiled the the smoke-filled dome, letting the beautiful, smoky aroma linger in the air, teasing our senses. The chicken was then brought back to the kitchen to be cut, and we were served tender smoked meat slices. 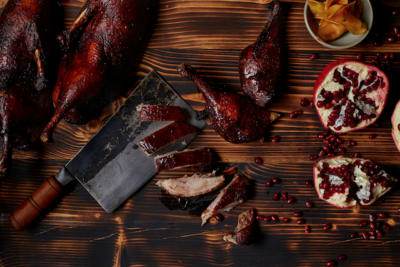 This indulgence was like an early Thanksgiving gift that came in a chicken disguise, where Chef Kong carefully piped the delicious truffle stuffing in between its skin and flesh, so we got every morsel of the stuffing when we chowed down on the bird. We ended on a sugar high with a selection of Tipsy’s desserts including Frangelico hazelnut créme brûlée with raspberry coulis ($78) and warm 70% dark chocolate tart with mascarpone ice cream ($88). Can I just say this place has restored my hope for Tai Hang? While I’m sure this ’hood boasts many great food places, I honestly haven’t had any worthy food experiences in this neighbourhood (perhaps I just went to the wrong places). 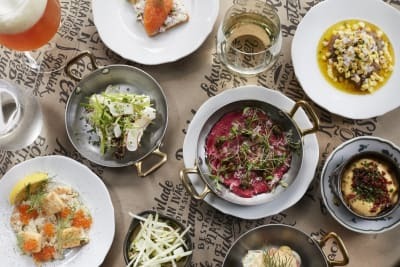 But I will definitely bring my friends to Tipsy for the eatery’s two-for-one happy hour deal and make sure we are a big-enough group to try all 17 small plates. And, yes, that unforgettable stuffed roast chicken that stole my heart. Pssst, watch out for an upcoming giveaway by Foodie in collaboration with Tipsy later this week!